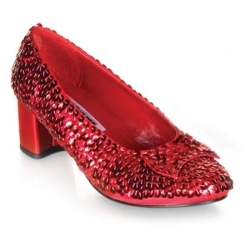 Ruby red sequin slippers. Available in women's sizes 6, 7, 8, 9 or 10. Shoes have a 2" heel.